The annual Harbour2Harbour Walk takes place along the scenic Dublin Bay on St Patrick's Day 2019. Grab your walking shoes and come along for a guaranteed fun day out! It's an alternative way to celebrate St Patrick's Day. You can choose to walk from Dún Laoghaire Harbour to Howth Harbour or vice versa, and the 16 mile/26km route is suitable for most fitness levels. 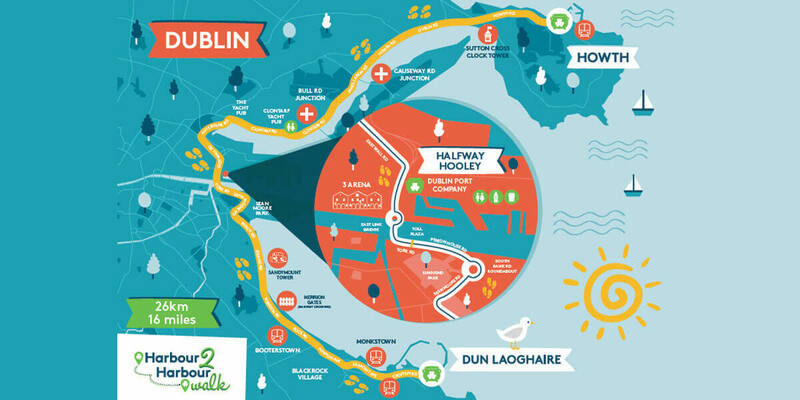 The walk takes participants along the spectacularly scenic Dublin Bay and more than 2,000 people are expected to take part. Don't forget to stop off at the Halfway Hooley hosted by Dublin Port Company to enjoy music and refreshments.